excited!! I got gray canvas this time because I figure it will look better with spring pastel colors. The awesome news: tax return comes next week, which means it's time to start decorating!!! The bad news: we were supposed to go camping tonight because the weather has been gorgeous all week and Chris can't work this weekend because his office is moving (kinda sad when you get excited for a SATURDAY without going to the office), but it's only 55 degrees today. It was 75 yesterday, go figure. The good news: we're going camping inside tonight, which, although not as exciting, is still fun and so much less work (plus I get to sleep in my comfy bed!). my gray TOMS are my favorite! they go with EVERYTHING. i've about worn them out though! Ok. Seriously!!! 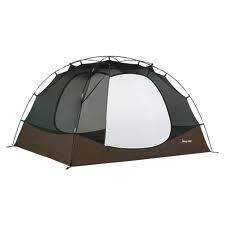 where do you go camping? I need a list of places since I have no idea and we we're hoping to actually go! I love this post- LOVE the color of your hair and love that you guys are going "indoor camping." What a fantastic idea! You and your hubby always look sweet! I envy you. Anyway, I really like TOMS although I don't have one. I feel like I don't look good on them but I really wanna wear them. Your blog's pretty nice and I just love it. I like your hair.. adorable! Your hair looks so cute! I like it! 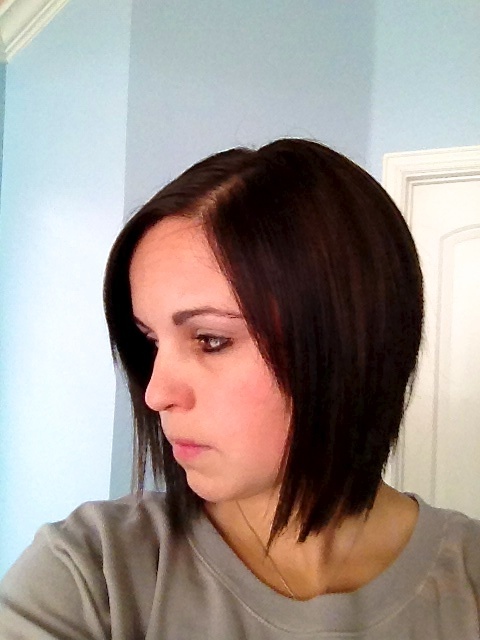 You can definitely pull off the dark hair! 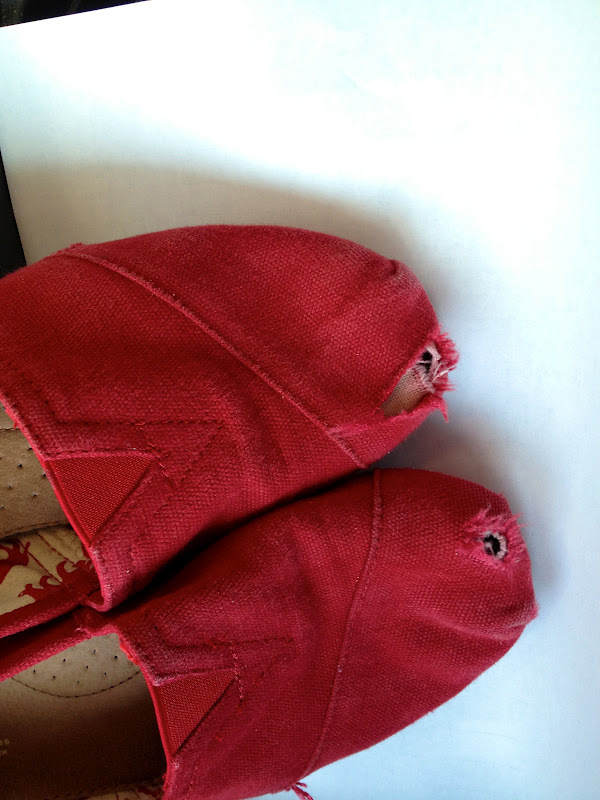 And whhhhhat Nordstrom will take back ruined TOMS???!!?! I should have known this a LOOONG time ago! Cute sense of humor! 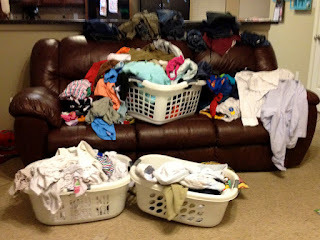 I have the same laundry pile up on my couch- no fun indeed!